The time has arrived for Jeep to build the truck it's always wanted to build. Mark your calendars for April 7th because according to , that’s when Jeep will roll the last of the JK generation Wranglers off its Toledo, Ohio assembly line before it makes way for production of the JL. learned of the JK Wrangler’s end date after it heard that Jeep parts supplier Hyundai Mobis North America notified the state of Ohio that production was ending. While Jeep retools the production line for the new Wrangler, about 570 FCA factory workers will be out of a job. That’s nothing new for factory workers accustomed to a retooling and wouldn’t really be news if it wasn’t for the fact that the assembly line intermission is taking place so the facility can be geared up to build the JL Wrangler pickup truck. 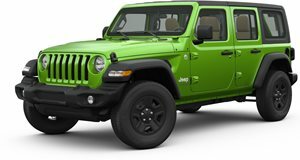 The regular JL Wrangler is already being built alongside the JK to ensure that customers and dealerships won’t experience an interruption in supply. Aside from spy shots and , not much news has come out about the Wrangler pickup, but given news that the production line is about to crank up, we can expect a full reveal soon. During that reveal it should be no surprise to see a naturally-aspirated V6 under the hood, and possibly even a turbocharged four-cylinder. While it should bear similar , the pickup will likely ride on a longer frame in order to fit a bed and a large cab with four-doors within the confines of the chassis. Internally dubbed the JT, the Jeep truck will likely go against the Chevrolet Colorado, GMC Canyon, Ford Ranger, and Toyota Tacoma when it goes on sale. If it ends up actually looking like the Wrangler, we wager it’ll have a styling advantage over those trucks. FCA CEO Sergio Marchionne is pretty confident about it too. He expects the JT to sell over 100,000 units per year. Like the JK and JL Wranglers, the JL and JT Wranglers will be built alongside one another due to the amount of parts they share. We can’t wait to see how that manifests.